Building Information Modeling (BIM) and Industry 4.0 are complex application domains. 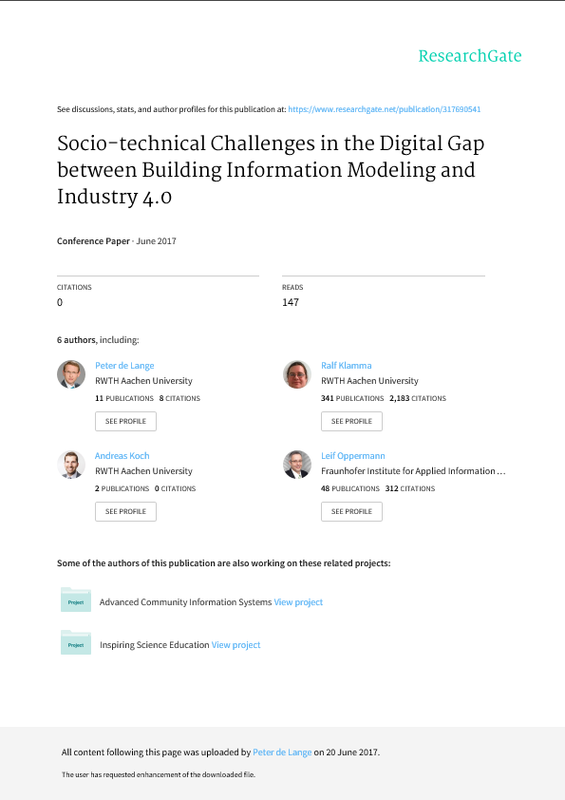 Doing interdisciplinary research with architects, engineers and computer scientists at the intersection of the domains is both challenging and promising, since many relevant research problems need multi-perspective views and cooperatively designed solution strategies. In this paper, we envision a socio-technical solution strategy, based on the common understanding that communication and cooperation is mission-critical for the overall success of the deployed information system, the design process and the final result of the mission, the building. To that end, we sketch the challenges and discuss a running construction project as a real application scenario. Our solution includes the use of serious gaming strategies, near real-time collaboration and mixed reality.